Wine, Pesto, and Rocky Beaches. oh my. Sorry I've been a little MIA lately. It's that end-of-school-year, vacation time, everything at once, time of year. Also, I'm still in Italy…in spirit. Over the Memorial Day weekend we jetted off to Pisa and Cinque Terre for five days of the dolce vita. All in all, it was a blast and half. 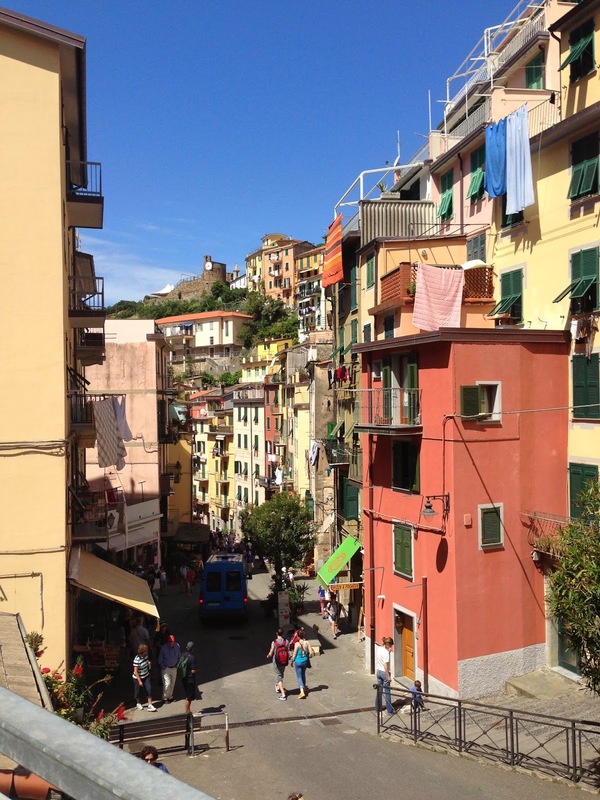 Trains, planes and rickety city busses finally brought us to coastal Italy and a little area called Cinque Terre, or Five Villages. There are literally five little villages all in a row built into the rocky coast of Italy. It's incredible and impossible to describe. So, of course we saw the Leaning Tower, and it's true, that thing is really freaking leaning. And it's a crime punishable by the carbonari if you do not take a cheesy "hold up the tower" photo. Then, after a day in Pisa, we took the train to the coast. 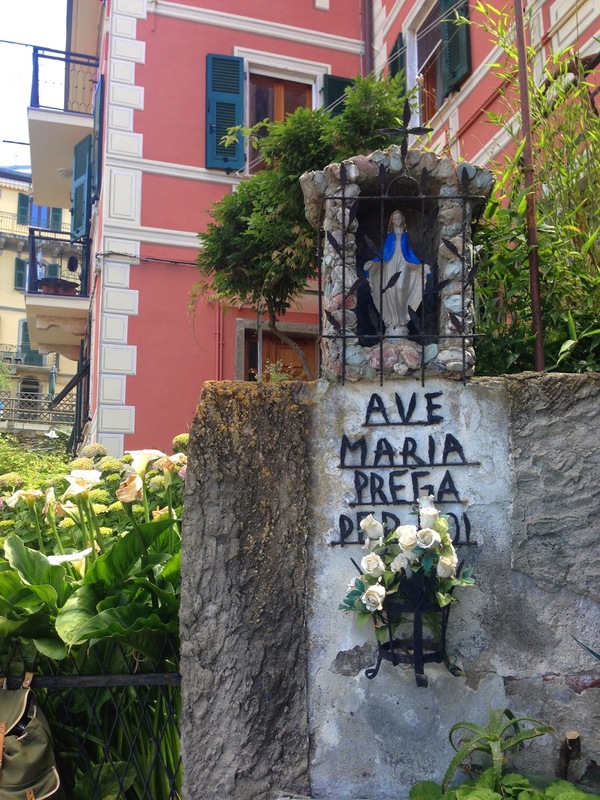 Rather than stay in Cinque Terre itself, we stayed in a little village about four villages farther down the coast called Deiva Marina. It was affordable and gorgeous and we even had access to a private beach. The best part was that it was less touristy than CT, so when I went to the market in town for food, they called me 'madam' and they taught up a little Italian and I begged them to adopt me. Let's take a second and talk about the food. No, actually I take that back. I can't talk about the food because there are no words. Every single thing I ate was crazy good. Even the bad stuff was good. The pasta, the bread, cheese, wine, gelato and even the fruit was amazing. 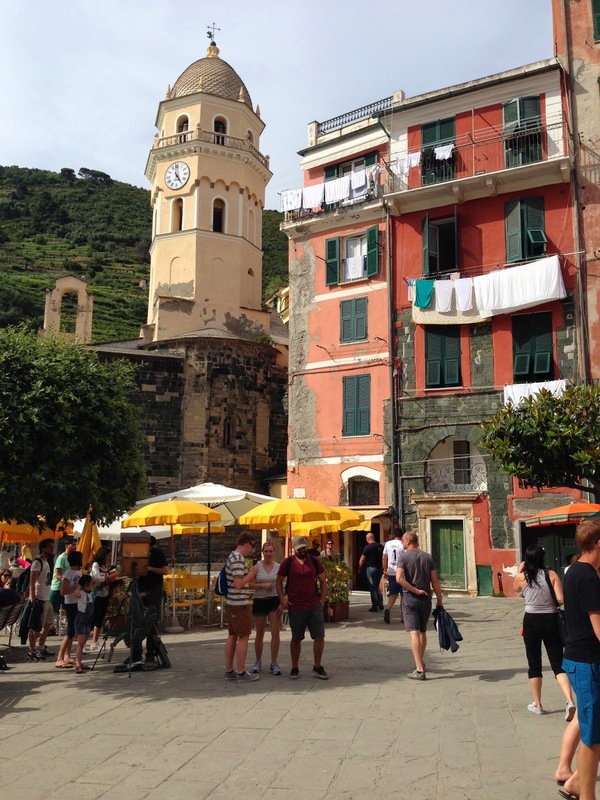 We spent the next few days wandering around Cinque Terre and sitting around the beach. We saw all five villages and some of them twice. At times, I just pretended I lived there and for three whole days I felt like I did. We spent much of the weekend hopping from cafe to cafe, sipping on wine and cappuccinos until sundown, then doing it all over again the next day. There was a lot of walking, but there was equally as much kicking our feet up. So, yeah, I'm still a little bit there. And I think in a way, I'll always be a little bit there.